Nestled at the base of Mt. Werner and just steps from Ski Time Square, *Christie Club* offers a winter ski-in, ski-out experience every visitor will appreciate. Guests enjoy spacious and elegant residences, a private clubhouse with an inviting lobby and reception area, members' lounge, heated outdoor pool, three outdoor jetted spas, private ski locker rooms, fully equipped health club and personal concierge. During the warmer months, guests can enjoy golf, tennis, hiking, fishing, biking, hot air ballooning, mountain biking, river rafting, water skiing, kayaking, sailing, swimming, horseback riding, tubing on the Yampa River and more. The charming town of Steamboat Springs provides an abundance of unique shops and galleries and more than 60 restaurants and bars to enjoy. 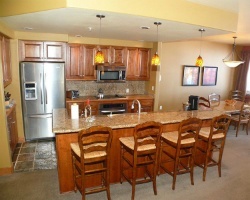 Fractional ownership! 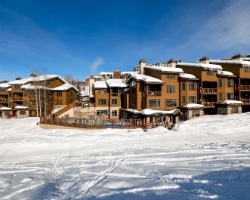 Beautiful resort with ski-in, ski-out accommodations! Buyer may receive a title fee credit, inquire for details!